Montana and comedy? Sounds unnatural. But comedy is deeply embedded both in the history and the greats calling the Treasure State home. The lineages of the railroad, mining, logging and trapping all necessitated a keen appreciation of humor. It got one through the day. Also, Montana actually has famous comedians. Dana Carvey was born in Missoula. Reggie Watts is from Greats Falls. There’s also Evel Knievel (he had a good sense of humor, right?). 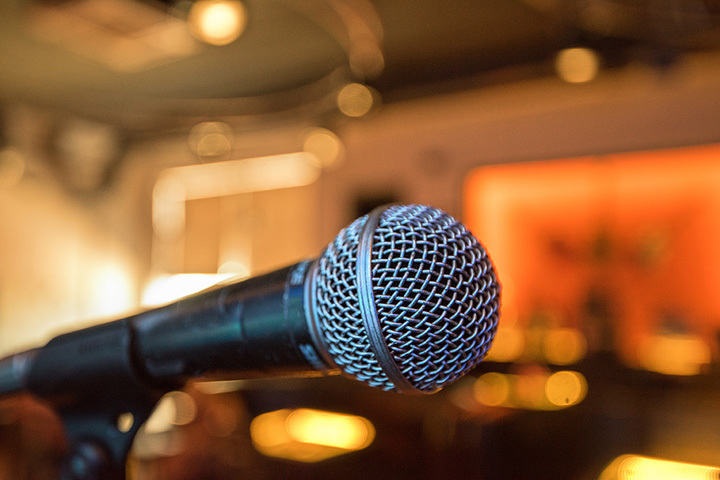 In any event, there are some fantastic Montana venues to catch a great comedy show, be it an open mic or an arena-filler. Essentially any decent, at least moderately known, performing artist comes to the Wilma if traveling through Montana. The comfortable, warm and intimate space is all the convincing one needs. But it needn’t even go that far: The glorious million-bulb marquee, hung to the charming early-twentieth structure guarantees some good live entertainment. If a good alternative comic (or live band, or one-man show) is destined for the Montana, he or she’ll definitely be Wilma-bound. This nearly century-old monument to the performing arts has a mission statement: Showcasing the most entertaining and professional acts in entertainment. Performances run the gamut, from theatre to ballet to orchestra, but great comedic acts pass through as well. This theater isn’t only an extraordinary architectural relic, exuding its popular vaudeville roots, but its chosen artists continue to push boundaries, and, yes, cause a belly-laugh. This renowned winter sports and entertainment complex has two unfair advantages. First, it’s attracted the likes of obscenely talented comics like Reggie Watts (Montana native). And second, it rests near the foot of Big Sky Resort, an alpine oasis for winter skiing and summer hiking & biking. True to its namesake, the theater reverberates with nature-centric film festivals, live music, speakers & intellectuals, and jesters galore. Come for a show, stay for the scenery. Or vice versa. Blazing with neon blue and gold, the retro cursive sign is immediately reassuring. There’s authenticity here: An appreciation for history, and a taste for a great catalog of performers. The lineage of excellent live entertainment, comedians included, stretches far: the theater was built in 1906, and its shimmering signage has long dominated the cityscape, in one form or another. As the calendar changes frequently, check online. One never knows who’ll stop by. Though certainly not the most intimate venue in the state, it’s hard to top the facilities and big-name draw of the University of Montana. At the foot of the mountain with the “M” (literally), the complex boasts a large stadium-style space, a host for basketball games, arena rockers and larger comedic acts, and a more casual theater space, ideal for dialogue-driven entertainment. The performers at the center over the years are too numerous to mention, and too varied to describe, but they’re always big league: Comedians like Jeff Dunham or grunge gods Pearl Jam. The Union ups the ante by supporting its live entertainment with a good happy hour and a decent food menu. (A simple, well-executed cheeseburger complements a pilsner and a good comedian.) And a good comedian may just appear at the club’s open mic comedy nights. Still, this venue’s approachability for amateurs is its biggest asset. Every Friday and Saturday, the place hops with live music, peppered with open mics and even karaoke. Work on some material and try the stage. The university town of Missoula is brimming with art and artists, and the Roxy is well-placed: An Art Deco, old school and refreshing pillar of retro live entertainment. Primarily centered on cinema and live music, the Roxy is still relatively new, an emerging force funded in part and staffed by volunteers. As an upstart venue, the attractive theater space provides fertile soil for comedic pros passing through, and amateurs trying-out. Subsuming the name of its early-era cabaret show, Montana’s first brewery maintains the ancient luster (or lack thereof) of the latter 19th century. And this no-BS sentiment drives the show. The Brewery Follies performers provide a damn funny performance of incisive satire, broadened by accompanying music and a pleasurably goofy vibe, pleasing to even the most cynical audience. Six days a week, well into the night, the Red Door hosts some decent karaoke alongside its enjoyable food and drink menu. And where there’re karaoke machines, there’re open mics. And where there’re are open mics, there’re are those crazy enough to try out their material. The dimly lit, retro atmosphere gives a certain ambience a la the pleasantly smoky comedy clubs of a nostalgic past. View more Montana Comedy Clubs.